Trox smoke, fire, fire and smoke dampers provide an automatic means of localizing areas of smoke and or fire in ventilation systems. To prevent the distribution of fire and/or smoke through ventilation ductwork Trox dampers offer an effective barrier maintaining integrity in a fire situation up to 3 hours (MFD and SFD) and this is combined with low leakage characteristics for smoke management (MSD and SFD). 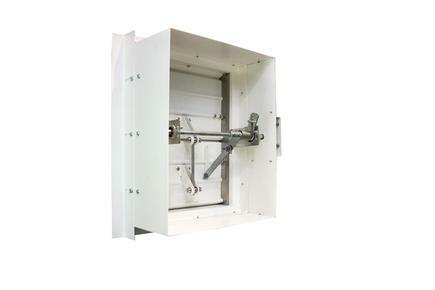 Trox dampers are suitable for installation in sheet metal ductwork, or in walls and ceiling slabs made from concrete or brickwork, and in lightweight partition walls. Recommend this page by sending a link by mail. Fields marked with an (*) are required fields. Your recommendation has been sent and should arrive shortly. Please specify your message and type of request. Your message is send and will be processed shortly. Our department for Service-Requests will contact you asap.